The sea is so wide and deep, is home to a variety of marine species. 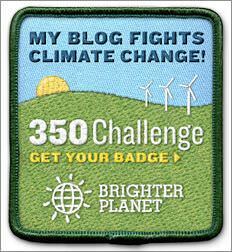 Almost every day scientists get a species that has never been encountered before. 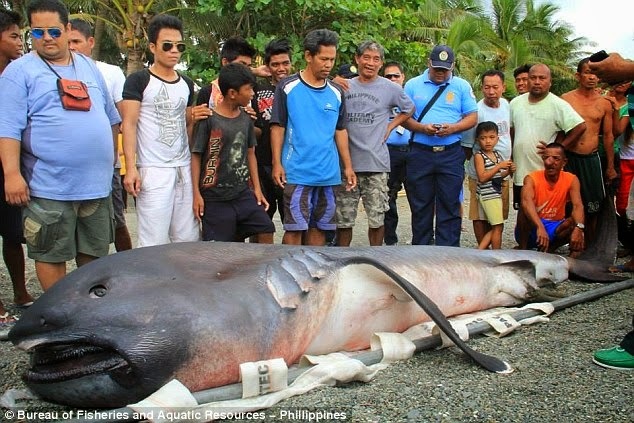 Maybe you've heard about the shark that washed up on the coast of the Philippines some time ago. As reported by the BuzzFeed on Wednesday, February 4, 2015, many people in social media considered the animal is terrible, though actually quite funny. This shark even earned the nickname "Toothless", in accordance with the fictitious dragon name in the "How to Train your Dragon" animated movie. 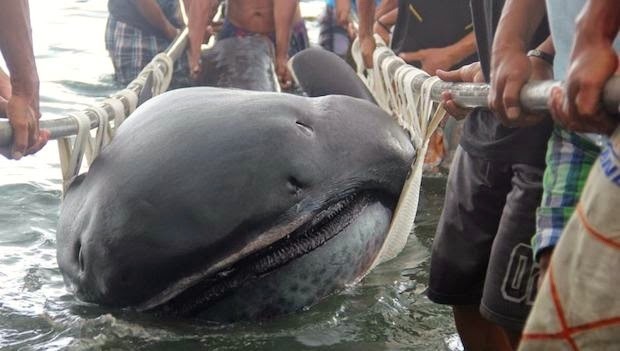 Animals are called "Megamouth shark" has a length of approximately 15 feet (or about 4.5 meters) and weigh about a ton. These sharks live was a plankton-eating which herded using their glowing jaws. So rare and unique shape, these animals were classified into groups cryptid by scientists. Until now, scientists have very limited information about the sharks. Because they are so rarely seen by humans. A researcher who studied the sea sharks at the University of Southampton in England, Christopher Bird, Ph.D. said the shark was difficult types to studied. "The shark was discovered around 1976. Just a really noticeable when accidentally caught in fishing nets or washed up on the beach. The shark was like a mystery," said Bird. Bird revealed, the toothless shark was seen on the surface when they appear in search of food. The size of sea creatures that can reach a maximum length of 5.2 meters with a 100-year age range. They are often located in deep water, but rose to the surface at night to find food or eat plankton.